Although I’ve never been a fishermen, several of my friends who are tell me that I’m missing a great way to relax and unwind – and given that fishermen spend a lot of their lives gazing at a float on the surface of the river surrounded by beautiful countryside and the sound of the birds singing, I can certainly understand the attraction. Now anglers have taken a lot of flak over the years for messing up the riverbanks by leaving litter and other debris around but in fairness, the majority of our anglers are very responsible folk who take pride in leaving the riverbank as they find it. And an umbrella group called the Thames Anglers’ Conservancy (TAC) has been set up to give anglers a voice about the way the river is managed – and to encourage people to keep both the river itself and the banks and towpaths clean and tidy. Dave Harvey is one of the founding fathers of TAC and he bubbles with enthusiasm about making the voice of fishermen heard among those who take responsibility for managing the river. He said: “As anglers, we spend a vast amount of time by the river and collectively we hold an incredible amount of knowledge about the fish that the river contains. “Many of us have fished the river for the best part of our lives during which time we have all noticed changes in our catches and the environment. The group also campaigns against loss of fighting rights and helps to police illegal fishing methods and poaching which has become a real problem in recent years. Dave tells me that a lot of members of TAC – which is a free-to-join group, give up a lot of their time to help clean up the river. 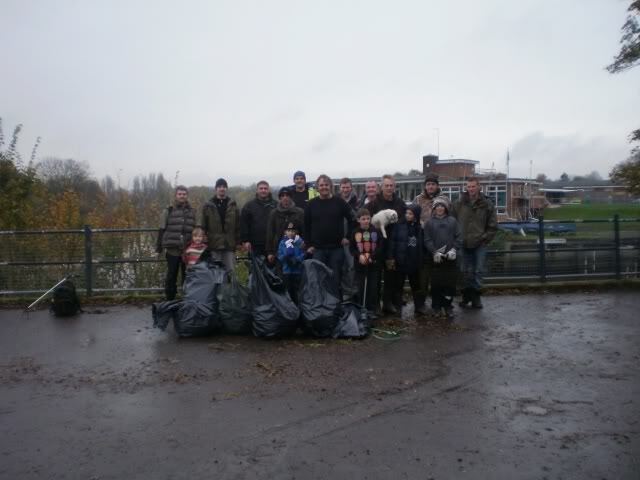 This year alone, groups of TAC members – including a fair number of youngsters – have spent time litter picking at Staines, along the towpath at Walton, on Desborough Island in Shepperton and along the riverside at Kingston. 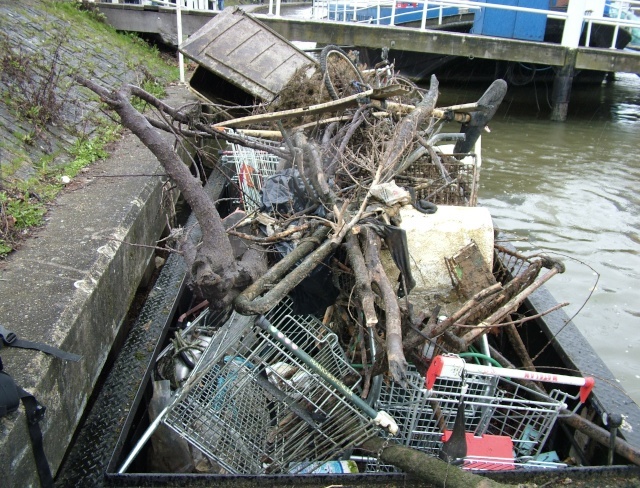 In a blitz on shopping trolleys that had been dumped in the river at Kingston, TAC volunteers filled an entire barge – kindly provided by the Environment Agency – with the things. And they’ve virtually lost track of the number of bin bags they’ve filled with detritus along our bit of the Thames. I take my hat off to these guys and girls who are doing their best to keep our river beautiful for everyone – not just anglers – to enjoy. TAC organise a number of events during the year and I’ll keep you informed about their plans. If you’d like to know more about TAC, visit their website at www.rivertac.org.